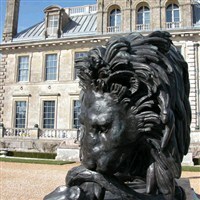 Explore Kingston Lacy, a lavish family home built to resemble an Italian Palace. There’s plenty to see, from grand, beautifully detailed carvings, to intimate family souvenirs and even strange curiosities such as an ‘I owe you’ note from a king. This striking 17th century house is noted for its lavish interiors, outstanding art collection, including paintings by Rubens and Van Dyck, Titian and Tintoretto, as well as the largest private collection of Egyptian artefacts in the UK. There are beautiful lawns, a restored Japanese tea garden and several marked walks through the surrounding parkland. Refreshments are available to purchase on site.